In recent weeks, there has been som controversy in Norwegian media over an article by Leif Helland and Rune J. Sørensen of the Norwegian School of Management (BI) about a systemic skew in Norwegian road building. 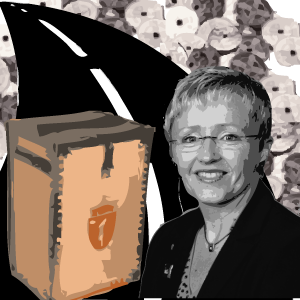 Their research shows that there appears to be systematic self-serving rational choice behavior by Norwegian politicians, as districts with important swing voters tend to get more grants for road building, and that this affects the social efficiency of road building in general. Read the article (link at the bottom) for more on their findings. This was picked up by Norwegian media when Norwegian parliamentarians met with Swedish counterparts and presented under the heading “Met by laughter in Sweden”. What the Swedes were laughing at was the level of micromanagement in road building that the Norwegian parliament is involved in. In Norway, every road builiding project is a parliament issue, and Helland and Sørensen have proved that this leads to non-optimal distributions of road construction money. Art student Jonathan Jarvis has made a brilliant graphic animation explaining the credit crisis in detail in the most simple and easy to understand way I have yet to see. This 11 minute video really nails the important basics and is just what you need for someone who struggles with understanding the who’s and why’s of the crisis. You can watch the YouTube version (in 2 parts) below, or go to http://crisisofcredit.com for the nicer HD version. In my quest to find good political science podcasts out there, I’ve now arrvied at the Library of Liberty and Economics‘ podcast series “Econtalk“. Like the previously reviewed LSE lectures, it’s a well established line with a lot of material from interesting speakers. There’s a lot of good material in there, although the style differs much from the lecture style of the LSE cast. And why is this interesting? Because this isn’t just some random crackpot blogger. This is the man who led Malaysia for just about three decades and has been seen as one of the more prominent moderate voices of the Muslim world. This is the man who crossed the IMF and handled the previous finance crisis in ’98 in his own way. This is a man many still listen to. How the financial crisis helps Israel is still somewhat unclear to me. 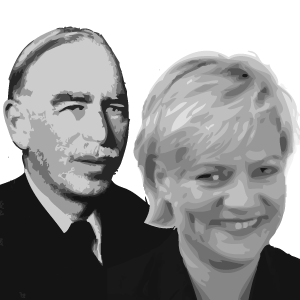 The ongoing finance crisis has certainly given classic Keynesianism a new boost. And few countries have embraced this as clearly as Norway did today. The center-left government under Prime Minister Jens Stoltenberg from Labour (Arbeiderpartiet) and Finance Minister Kristin Halvorsen from the Socialist Left Party (Sosialistisk Venstreparti) introduced a massive expansion package aimed at combating unemployment. A very interesting paper by Andrew Gelman and a few more, linked to in a post at The Monkey Cage, proved to be very much to my liking. They look at the act of voting from a rational actor perspective, but leave the premise that “rationality” is equal to “selfishness”. That means they give the voter a preference for the good of everyone else, thereby showing that voting can be a rational act. What’s the logic behind this? Well, if you sum up the benefit every member of society would get from an election outcome, the number could become quite big, compensating for the low likelihood that your vote is the one that will decide. Thus if the cost of voting is rather low, it might still be worth it. This actually sounds rather reasonable. Perhaps voting might be rational. The perceived benefit society could get from voting is of course limited by how much you actually believe candidates will follow through their policies. Also, the benefit of voting might have to be discounted by a factor reflecting to what degree you believe the election will be fair. This might explain why the big proportion of the voters that don’t participate still aren’t necessarily selfish either. It gives me solace to know that I now have a scientific vay to explain that people that vote aren’t stupid and people in general aren’t necessarily selfish. Let me start by recommending this book as a good read. Even though it has its flaws, it’s a thought-provoking analysis of a topic that certainly doesn’t have the attention it deserves in political science. 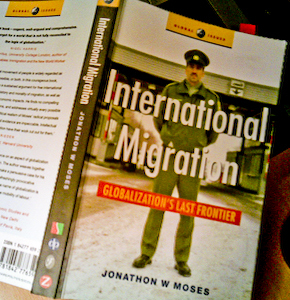 It certainly gave me a lot of new ideas and forced me to rethink my entire conception of migration and borders in general. The finance crisis certainly took a turn for the unexpected today when the US House of Representatives turned down the $700 billion rescue package proposed by president Bush. Of course it was controversial for USA to consider this in the first place, given that they have been the largest driving force in pushing the International Monetary Fund to try and discourage other governments from doing the same in times of crisis. Wall Street seems to have expected them to go through with it this time though, as the news brought the biggest plummet in stock prices in American history. So how could they possibly risk the crisis getting even worse? Malaysia was the odd ball out in handling the great Asian financial crisis of 1997-98. Rather than follow the stream and adapt to the measures enforced by the International Monetary Fund, Malaysia’s prime minister Dr. Mahathir Mohamad chose to go in a different direction by imposing capital controls that effectively closed off the Malaysian economy. A huge amount of work has been produced by scholars worldwide on the crisis. As among others Kishore C. Dash and Rudiger Dornbusch point out, economic factors can explain why the crisis broke out, but the subsequent management on it must also take the domestic political situation into account. Much more accomplished scholars than myself have examined to great length the reasons for the crisis and the results of the choices taken. What this analysis focuses on is to fill in the picture of why the crisis was handled the way it was, going beyond the macroeconomic arguments. 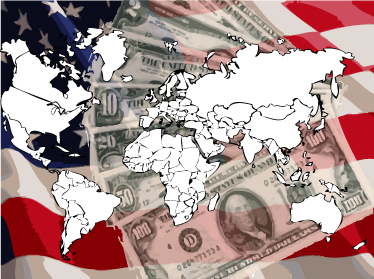 The economy and the currency can be important tools for control and important totems of nationalism. In the attached paper, I show that regardless of macroeconomic concerns, Prime Minister Mahathir Mohammad had based his power on these tools and had all but painted himself into a corner, having no option but to choose the policy he did if he wanted to avoid the risk of serious damage to his regime. Secondly, Mahathir’s power was strongly dependent on the economic network centered around the UMNO party that constituted the major part of his power base. Abandoning monetary autonomy, with the possibilities of high interest rates sure to hit sub-prime loan markets hard, posed a serious threat to the UMNO business conglomerate. Relinquishing monetary policy control thus seemed difficult. Thirdly, Mahathir had through his Wawasan 2020 plan emerged on a path to bring Malaysia to become an industrialized nation through a new state-centered nationalism. The currency was a vital national symbol and currency stability was thus also prioritized. Making the two first options go from difficult to impossible was the the concurrence of a macroeconomic shock and a political crisis in the form of Anwar’s challenge to Mahathir’s rule. 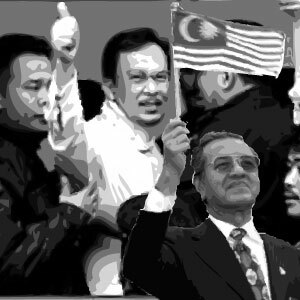 With attacks against his power in the elections of 1993 and 1996, Mahathir’s apparatus for autocratic rule was being threatened. Anwar’s advocacy of austerity measures threatened to shake the UMNO patronage system even more strongly. Constrained by the Mundell-Fleming conditions, the last remaining option was to abandon free flow of capital, which had played a major role in the prosperity of the Malaysian economy to over the last decades. With a considerable distrust towards international markets, this option seemed less unthinkable to Mahathir than to most mainstream economists. Additionally, the policy facilitated both the discrediting of Anwar’s supporters and the possibility to blame domestic economic problems on foreign actors. This explains why Mahathir was willing to go to great lengths to enforce these policies, regardless of the risks (or even predictions of impending doom) stressed by a unitary corps of international economists. Race – an outdated concept?